Welcome back! 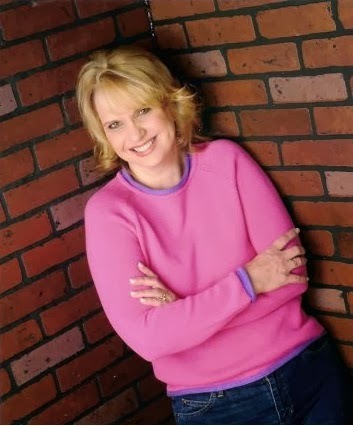 Debbie Lynne here with more on the Vanderbilts. 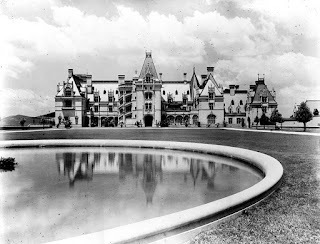 But today I'm going to be talking about the Biltmore House. I have a GREAT GIVEAWAY! It's getting to be that time of the year when we are starting to turn out thoughts to the holidays. So I'm giving away a copy of A Biltmore Christmas and I'm giving away a beautiful Biltmore Christmas ornament! Leave a comment (I'd love to hear what you'd put in your dream house) and don't forget your email addy so I can contact you should you win. Happy reading! 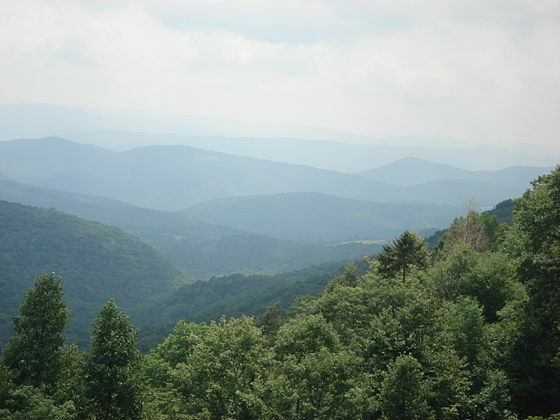 I love the Appalachian mountains and I'm not alone. By 1880 passenger trains had come to Asheville, NC, making the town only a day's journey from New York. The quiet mountain town full of fresh air, hot mineral springs, and beauty became the perfect resort for busy city people. George Vanderbilt visited Asheville in 1888 with his mother and was captivated by the area's beauty. He was hooked and immediately started purchasing land for his estate. When it was all said and done, George had acquired 125,000 acres! As he planned his new endeavor, Vanderbilt modeled his dream on European and English traditions where the country estate showed wealth, significant land ownership, pursuit of physical well-being, and the importance of family and friends. By 1889 construction had begun! This French Renaissance Chateau was the largest undertaking in residential architecture. With 250 rooms, it nearly took a whole city of skilled craftsman six years to complete this fairy tale castle. Together with Richard Morris Hunt (architect) and Frederick Law Olmsted (Landscape designer), George Vanderbilt brought his vision to fruition. The three men worked closely together, building a strong friendship, focusing on the same goal—making a unique American country estate. December 24th, 1895 the house George Vanderbilt has poured himself into is opened to friends and family, full of beautiful decorations and holiday festivities. The home consists of 35 bedrooms, 43 bathrooms, and 65 fireplaces. It sports a very masculine Billard Room giving men a place to retreat. Doors concealed in the fireplace lead to a smoking room and a gun room, which are just a few of the marvelous rooms adorning the Biltmore Estate. It would take me another six posts to touch on all the rooms that Vanderbilt saw fit to build, but I'll mention a few that I found interesting. There is a 72 x 42 foot Banquet Hall with 70 foot high ceiling arches, a breakfast room, a music room, a 90 foot long Gallery, a library containing over 23,000 books, a gymnasium, a trophy room, indoor swimming pool, and the last room I'll mention but certainly not the least is the bowling alley. In 1889 Biltmore Village was purchased by Vanderbilt, formally the town of Best. Already consisting of a railway station, two small inns, a grist mill, and a few houses, Vanderbilt added cottages, shops, a school, post office, Church, laundry, hospital and the Biltmore Office Building. I hope you've enjoyed learning a little more about the history of the Biltmore Estates. I didn't even touch on the landscaping, so if you want to learn more you can go to www.biltmore.com. All pictures used are from the Biltmore website. If you'd like to have Biltmore wallpaper on your computer go to their photo gallery and they give you free downloads! Don't forget to leave a comment and let me know what would be your dream room or feature in a house along with your email addy to be entered to win A Christmas at Biltmore and a beautiful Biltmore Christmas ornament. For an extra entry drop by http://seriouslywrite.blogspot.com/2013/11/embracing-rejection-what-you-can-learn.html (this link won't work until the 16th) on November 16th and leave a comment and then come back here and let me know you stopped by to see me on Seriously Write and I'll give you a second entry to win. Biltmore is stunning. My husband and I went in March several years ago, and even though it was raining :( and the gardens weren't the best (too late for the azaleas and tulips, too early for roses), the entire place was mesmerizing. I'd love to go again some day. Thanks for coming by, Mary. I LOVE front porches! I want a large wrap around porch. I think they are beautiful. Good luck on the drawing. 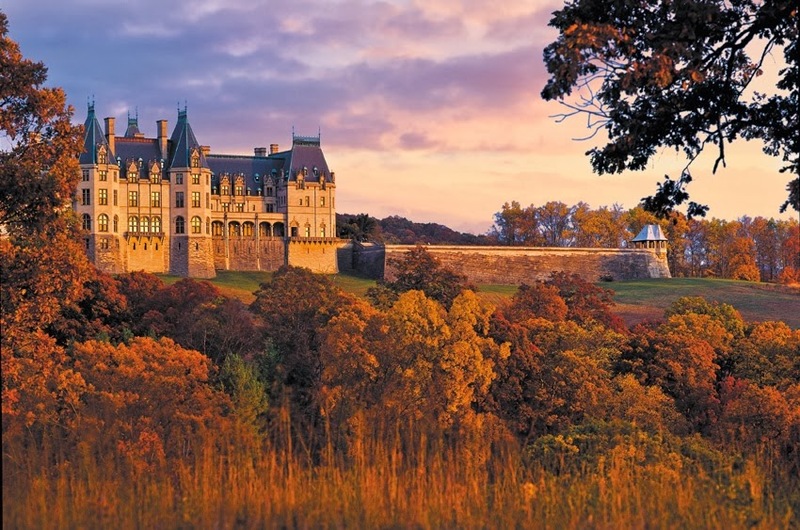 The Biltmore Estate is captivating and I would love to visit during Christmas. I know the decorations are stunning! I would have a library in my dream house. A place to display and share all of my wonderful books, with a fireplace and plenty of comfortable seating. The library would be a cozy place for everyone to gather. Britney, I am right with you girlfriend! A library is one of my dreams too and with the fireplace! We are so on the same page. :o) I'd love to have floor to ceiling shelves along the walls made of dark wood and bursting at the seams. I have had the pleasure of visiting The Biltmore Estate when it was decorated for Christmas. Oh my word, it was absolutely beautiful! Each room was grander than the next and the huge, main Christmas tree was a sight to behold. My dream home would have a glorious library/coffee bar. The wonderful aroma of coffee brewing among volume after volume of books old and new and large overstuffed chairs with super soft throws laying on the arms.......my mental picture has me right there enjoying every minute. LOL! I'm sitting there next to you, Melanie! Can we have tea there too? LOL! Good luck in the drawing! Debbie Lynne, I enjoyed your post about the Biltmore House. I live just over the mountain from Asheville and have been visiting the Biltmore for years. It is a wonder! It's always fun to see what's "new". I've always wanted to go there during the Christmas season, but have yet to make that trip. Thank you for a chance to win the gifts you are offering. Your welcome, Kay. Wow just over the mountain from Asheville. How nice! We live 2 hours from there. I really want to see it at Christmas too. The pictures alone are breathtaking. Good Luck, Eliza. I had to smile when you said a pot of tea in there too because I had just said that in a comment above along with the floor to ceiling shelves. Oh the hours I could spend in there! I love ocean view windows! NOthing like a sunrise or sunset over the ocean. Good Luck, Sharon. Some of my children and spouses visited this place and loved it. One couple has already made a return visit. Thanks for sharing, Maxie. I could see your house! It's beautiful. :o) I hope you get to visit the Biltmore! Good Luck. Good Morning Debbie, love to see pics of this estate, It is truly a mansion. I would not like living in a place that large, My dream home is a log cabin, one of the larger more modern ones with one special room for relaxation -I would like a place to read and another with endless pool to exercise in. thanks for sharing "The Biltmore Christmas" looks great. Hey Paula. Thanks for coming by. I think log homes are beautiful. We used to want one but I understand they are a lot of work to keep up and especially where we live there are problems with carpenter bees. But it doesn't stop me from enjoying their beauty. 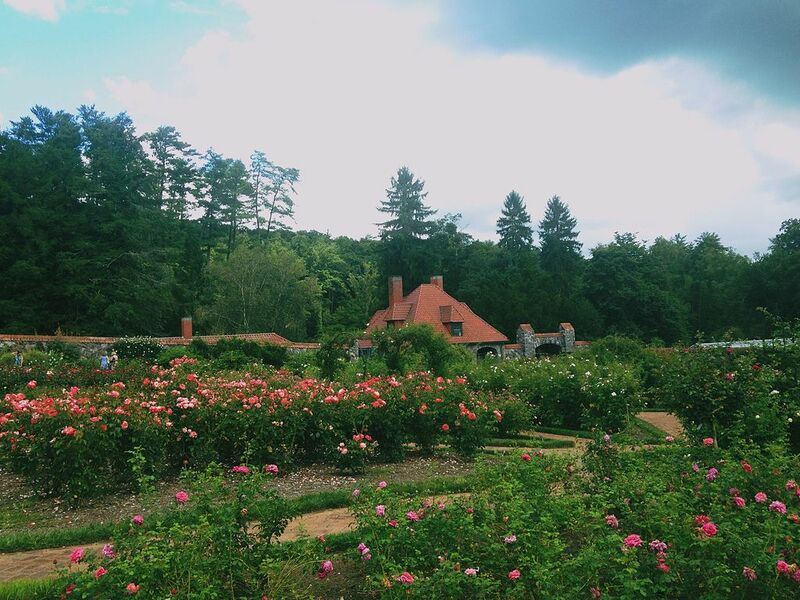 I would love to Biltmore one day. It is so beautiful. I think it would be neat to see the library. Good Luck, Angela. I hope you get to visit the Biltmore someday! Oh we went to the Biltmore this year, it is fantastic!! I would love a kitchen like that of the Biltmore. Big windows and lots of space!! OH my yes! How awesome would that be! Good Luck! That is awesome! I have hope now! :o) Thanks for coming by and good luck! Hey Chris. What an awesome thought. I have a cousin who had a prayer closet built. It was a small room like you mention. Thanks for coming by and good luck. Thanks for coming by Eliza. Good luck. Library seems to be #1 right now. Enjoyed the blog with pics, Debbie. Haven't visited the Biltmore, but hubby took his parents from England there years ago. I read Deanne Gist's novel Maid to Match. Her story brought the estate to life. Love to see it some day. I'd want a conservatory with plants and flowers from around the world. I imagine Vanderbilt had one since he was a world traveller. and a collector of artifacts.. Thanks for the post. Hey Pat. You and my mother would get along great. She loves plants and flowers. I know Vanderbilt has beautiful gardens and lawns. Good luck and thanks for coming by. I can almost see the Biltmore as home in Heaven! This place sounds so gorgeous, I hope to go see it someday. My dream house is a 2 story Victorian house with a wrap around porch, a library with tons of windows with big comfy chairs/couches and a window seat. I've always wanted a canopy bed with a lot of chiffon-type material draped all around it! Kind of princess-ish! Thanks for a great post, Debbie! Sounds like a wonderful dream house! You'll have to invite me over for tea and we can sit on the porch with books we borrowed from your library. ;o) Thanks for coming by, Kam. Good luck! LOL! We forgive 'ands' in comments. ;o) Thanks so much for coming by and I love the ladder addition! Must add that to my dream room. :o) Good luck! Thank you for sharing the pictures and information on the Biltmore. I have been past it but at the time I could not stop to see it. I would love to visit there someday. I think my dream room would be in a much smaller house with fireplace bookshelves, a deep plush rug really comfortable furniture and large windows overlooking a pond and woods. That sounds so peaceful, Jackie. We just bought 22 acres and where we plan to situate our house is overlooking a pond and woods. Unfortunately the pond isn't ours but we will enjoy the view none the less. :o) Thanks for sharing your dream room with us. Good luck. I would love a large screened in porch! Hey Wendy. My mom loves screened in porches. She bought the house she lives in because of a screened in porch. Thanks for stopping by and good luck! I would love a dream home on a lake or the ocean with a sun room/library filled with plants and a cozy reading spot. Hey Merry, I love your dream home! Sounds like just the place to curl up with a good book! Good luck! I've not been to the Biltmore in years, and you've got me wanting to go back. I'd love to have a sun room on my house. I had one at my "little bitty house," and I miss it. Jackie, I hope you get your sun room. Nothing worse than missing something from a house one used to live in. Thanks for sharing and good luck! I would do away with the bowling alley and put in an indoor driving range. One with a big digital screen you hit into that has a beautiful peaceful golf course with a waterfall! That way, the weather can never keep you from playing a round of golf! LOL! I'm rather partial to a bowling alley. But if I knew how to play I think I'd enjoy that waterfall! Good luck! Oh this book looks so awesome and the ornament too. Baltimore House is so grand, I would love to go there one day. We want to add on a outdoor room with a hot tub for summer time and fall. I would love to truely add on a country full front porch on our home.